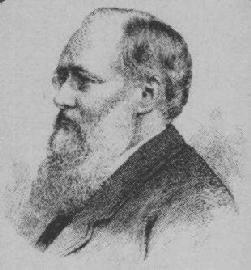 William Wilkie Collins, author of the first detective novels in English, was born in 1824. The son of a respected landscape painter, he was named after his painter godfather, David Wilkie. Educated in London, Collins studied to become a barrister, although it was never his intention to practise, and by 1848 he had turned to writing, a number of short works appearing in Charles Dickens' periodicals, Household Words and later, All the Year Round. A first novel, Iolani, set in ancient Tahiti and involving sorcery and sacrifice, though perhaps written as early as 1844, was later rejected by publishers (and only rediscovered and published for the first time in 1999). His second novel, Antonina (1850), set in fifth-century Rome, was a popular success, before Collins' first venture into crime fiction with Basil (1852), a Gothic tale of doppelgangers, bigamy, and hidden family secrets. Developing at once detective fiction and the novel of sensation, Collins' exotic and gripping stories - often involving strong heroines, sinister locales, charlatans, and physical or psychological afflictions - became hugely popular with the reading public. His great novels appeared in the 1860s, when, at the height of his powers, Collins' wrote The Woman in White (1860), No Name (1862), Armadale (1866), and The Moonstone (1868). Unafraid to question Victorian social mores, Collins never married but maintained two families. He lived both with Caroline Graves (whom he met in a midnight encounter such as is described in The Woman in White), and with Martha Rudd. In later life, Collins became addicted to opium, and from 1870 to his death in 1889, his novels became concerned with social issues, and are considered inferior to his earlier output. However, in recent years, Collins' oeuvre has received renewed critical attention, a recent biography hailing him as the king of inventors.